Congratulations to those of you who are wanting to make a change and live a healthier life style. This is going to be a fun, challenging and hugely rewarding month. Remember, the more that you put into this, the more you will get out of it. Play by the rules, be honest and you’ll see great results. Just keep reminding yourself that it’s only 1 month, and you can do anything for a month. The key to success is going to be forming a plan that will work for you and sticking with it for the whole month. Preparing food will be a bit more time consuming, so plan ahead for the week. Having a stocked kitchen will help. Make sure that you have healthy options ready if you need a snack RIGHT NOW. Be honest, we all get like that. Having something ready to grab when that craving hits will lessen your need to go out and get something unhealthy. And remember, if you fall off the bandwagon for one little thing, that is okay. We’re all human, it’s going to happen. You haven’t ruined anything, so don’t let that ruin your motivation. Come back with renewed ambition and continue on. We’re in this for the long haul. Also, use some common sense. If you spend 30 minutes trying to justify to yourself how this one *insert unhealthy food here* is okay and fits into the guidelines, you are missing the point. These guidelines are not in place so that you can find a way around them, they are in place to help you choose foods that will nourish your body and keep you healthy. Let’s stay within the spirit of this challenge. Challenge and Rules: How to sign up – We will be using a google docs to keep everything straight this time around. If you are on a computer, go here to sign up. Simply put your name in the name column. Congrats, you’re committed! If you need access via your phone, you’ll need to download the google docs and google sheets app from the playstore. Let me know and I will share the document with your gmail email address. You’ll be able to pull it up that way. If this seems confusing, come talk to me and I’ll get it all set up for you. -Challenge starts on April 6th and ends on May 6th. -There will be a $30 buy in (cash only). You will get this whole amount back, as long as you make it through the challenge. If you don’t make it through the challenge, your money will go into a pot for the next time we provide beer/bbq at the gym. -We will be doing before and after pictures at the gym. They will be for your own eyes, period. This is okay, don’t stress. If you are self conscious, we will make this private. This is the best way to look at results and is for your own retrospect, nothing else. Last time around I had quite a number of people tell me how glad they were that they did these pictures and I also had quite a number of people tell me that they really regretted not doing these pictures. -We will also have an optional caliper test for BMI/fat %. This is not mandatory. If you’re interested, it can give some good insight into how much fat you’ve lost and/or muscle gained. -The big one…. you may not eat anything on the “NO! !” list. -You must log EVERYTHING that goes in your mouth for the entire month. Even if you just take one little tiny bite of your friends whatever or grab a few grapes on the way out the door. Even if you throw a few chocolate chips into those protein pancakes, or toss some A1 sauce in that burger mix. It ALL gets logged. – You can only lose 10 food points before you forfeit your $30 buy in. You will still complete the competition, you just won’t get your $30 back. Scoring: We’re going to do this slightly different than we have in the past. In addition to getting points for your food and work outs, every week there is going to be a health/bettering ourselves focus. Week 1, we’ll be focusing on taking some fish oil. Week 2 we’ll focus on logging our work outs. Week 3 we’ll put priority on getting some good sleep. Week 4 we’ll take a look at our macro and calorie break downs. For those of you who have done this before, you know that points become a coveted commodity in these challenges. These weekly focuses will give you a good chance to get some more points in the books. Here’s how that’s all going to look. FOOD POINTS – You automatically get 3 points per day. Every food item you screw up on, you lose a point. If you lose all 3 points for the day, that’s it. Even if you messed up more, we won’t take any more away from you. Just do better the next day. The month’s WOD POINTS – If you work out 3 or more times a week, you get an extra two points per week. If you don’t, you lose all 2 points. There is a potential for 8 extra points here. week 1’s FISH OIL POINTS – For the first week, you get a point for every day you take a fish oil. There’s a potential for 7 points here. Week 2’s LOGGING WOD POINTS – For the second week, you get a point for every work out of that week you log in your WODTogether profile. We are open for 6 days a week, so there is a potential for 6 points here. If you protest because you’re on a 3/week membership, we’d be happy to extend a few extra work outs free of cost if you’d like to gain a few more points. Week 3’s SLEEP POINTS – For the 3rd week, we’d like you to make an honest attempt to get 8 hours of sleep. You get a point for every night you try to get 8 hours of sleep. This means that you’re in bed, with the lights out, tv off and no distractions, doing your best to sleep. Just determine when you need to get up, subtract 8 hours and make a point to be in bed by that time. Parents with young kiddos, do your best on this one. Everyone, be fair with your calculations. Week 4’s MYFITNESSPAL.COM POINTS – For the 4th week, we’re going to get a better breakdown of our macros and calories. You get a point for every day that you log all your food into myfitnesspal.com. This is something that you will have to show me at the end of the week. You will still give me the run down in WODTogether, but you’ll do double duty on logging and put everything you eat into myfitnesspal. It’s a bit more time consuming, but something that everyone should do at some point in time. It gives you a totally different perspective on food. You get to see your macro breakdown, how many calories you’re eating and also some good insight on the micro-nutrients. – Whoever has the most points at the end wins. Important Change: I’m asking everyone to help me out a bit on this one. So, this time around, YOU will be responsible for keeping track and entering in your own points via the google docs spreadsheet. I will be coming around behind everyone and keeping everyone honest. I will also have final say on everything. Keep in mind the rest of the gym can also see your log posts and your points. If I/someone else sees something that looks fishy, I’ll ask you about it. Read this to find out exactly how to log everything. For those of you who have done this a few times before, this should be a breeze. If you’re totally new to this and intimidated by everything, come talk to me, I’ll walk you through it and help you step by step, every day if I need to. If you don’t have normal access to a computer, we’re more than happy to let you borrow one of the ones at the gym on a daily basis. Prizes: The goal of this challenge is to keep/obtain as many points as possible. There will be a 1st, 2nd, and 3rd place. 1st place gets their choice of the prizes below. After 1st place chooses, 2nd place gets their choice of what’s left and 3rd place gets whatever 1st and 2nd don’t choose. Prize 1 – You get to program a WOD that the entire gym will do. 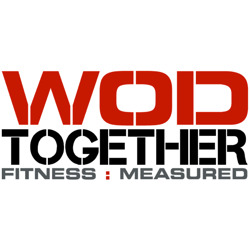 Doug must approve it, and you must come in and do said WOD with everyone else. Prize 2 – You get to stencil one of our boxes. Or, tell me what you want on it and I’ll do it. You’ll get your name, and Spring Nutrition Challenge __th place along with whatever else you want on it. However, it must be appropriate and it must get approved by Doug or I before it goes on the box. Prize 3 – For 1 month you get dibs on equipment, spot, etc. You get to pick your squat rack, your spot on the floor, your pull up bar, your clamps, rings, jump rope, etc. Tiebreakers: If there is a tie for any of the places, we will have a few tiebreakers in place. First, we’ll look at who took a cheat meal. If you took a cheat meal that will automatically take you out of the running for that place. For example: A and B are tied for 1st. C is 2nd and D is 3rd. A took a cheat meal, so B gets 1st, A gets 2nd and C gets 3rd. After that we’ll take a look at your macros from the week you logged in myfitnesspal.com. If someone’s macros are way off, we’ll bump them down a place. Finally, if none of that clears up the tie, we will do last man standing. Other Details: Get your name on the previously mentioned spreadsheet, get your pictures taken and bring in your $30 (cash only) before or on the 6th. Click here for how to log your food and more details on logging successfully to make sure that you don’t lose unnecessary points. If you have facebook and aren’t already a part of our community, please join here. This will be beneficial for you to ask questions and share recipes. You get one cheat meal. This is not a cheat meal that turns into a cheat afternoon and then turns into a cheat day. One single meal throughout the whole month. Canned tuna on the ok list this time around. Last time canned tuna was a no-go because most of it has a tiny bit of “vegetable broth (contains soy)”. The nutritional benefits you get from canned tuna outweigh the tiny bit of soy by a long shot. So, common sense dictates that canned tuna is back on your shopping list. Bacon is on the ok list. However, a lot of bacon lists sugar in the ingredients. It’s very very hard to find some that doesn’t. If you want to do this the right way, go for the uncured bacon – however, it is unfortunately more expensive. Bacon spices up a lot of dishes and is kind of one of those gimme’s that we’re going to keep on your shopping list. Do yourself a favor though and look at the ingredients list and amount of protein in what you’re buying. You’d be surprised at the differences between brands. Check it out. We’re also going to allow Kombucha. You can get it at any grocery store, or you can make it yourself. If you are interested in doing that and would like a scoby, ask me, I’ll give you one. Kombucha does have a tiny bit of sugar in it, however, the probiotic benefits are great and I’m betting that most of you don’t eat a ton of fermented food. Just keep it to one serving a day. Do stay away from processed meat – absolutely no brats, hot dogs, etc. Get a pound of ground pork or turkey for breakfast sausage and add whatever spices and veggies you want. If you can find specialty sausages that have okay ingredients, go for it. Good fat is healthy for you, find some good olive or avocado oil (CDA Costco) and try to find grass fed butter (Kerrygold is a good brand for this.) Be careful with your nut intake. Good nuts to go for are almonds, cashews, hazelnuts, pecans, walnuts, pine nuts and macadamia. Nuts and nut butters are healthy and a great snack, but eating ground up nuts makes it easy to get a ton of nuts in one sitting. They have a lot of fat and are not a good idea in huge quantities. Stick with a handful here and there. Almond milk is a good option for a lot of things. It is on your grocery list, however it is hard to find almond milk that doesn’t have a few weird things in it. This is another of those common sense additions. Go for the almond milk, but try to find the one without added sugar. Almond Breeze seems to be the best. Eat as many veggies as you can (you name it, you can eat it.) Trick question here…. corn is not a veggie, it is a grain. Stay away from it. Be careful with your intake of fruit, there is a lot of sugar in fruit. We are not limiting your fruit servings, but we trust you not to go overboard. Stay within 1 – 2 servings per day. Berries are the best types of fruits with bananas and mangos on the other end of the spectrum having the most sugar. Frozen and canned fruit and vegetables are fine, as long as you flip the bag/can over and look at the ingredients. If there is anything listed other than the specific fruit or vegetable, find a different brand. Example: tomato sauce ingredients should be “tomato”. Frozen berry medley should have “black berries, strawberries, blue berries.” Canned/frozen fruit should have absolutely no added sugar or anything else. Just grab another brand until you find what you’re looking for. If you can’t find a good brand, go get the real thing out of the produce section. Juicing is an option, but make sure you are juicing veggies. How many pieces of fruit do you have to juice to get a cup of juice? Way too many to eat in once sitting. Green beans okay. Be wary of what kind of tea you’re drinking. Most of the really awesome delicious teas have weird added ingredients like “soy lecithin” (What the hell is that anyway, and why are they putting it in herbal tea?). Check the label. If it has more than a couple of ingredients listed, then it’s probably not a good choice. We like the Stash brand. Still check the label though. Cottage cheese, Greek yogurt and goat cheese have really great protein/carbs/fats ratios. They are a great way to get in some extra protein/nutrients and also give you a few other options when thinking about what to eat. However as with everything – moderation is key. Don’t get the flavored yogurt or the little cups with fruit on the side. Get the big thing of plain Greek yogurt. There should be absolutely no sugar in the ingredients. You can put fresh fruit and nuts in it later. Make sure your brand of Greek yogurt is a good one and not regular sugar laden yogurt masquerading as “Greek”. Check out this article. We suggest Chobani or Fage. Make sure your cheese is dairy and culture. There really shouldn’t be much more in it than that. Protein powder – we’re looking for a post recovery or morning protein shake. #1 rule here is absolutely do not drink a shake in replacement of a normal meal. If you are eating 3 good nutrient dense meals a day and still want a protein shake as a snack or desert, go for it. Slim fast or meal replacement shakes do not count, they have a lot of added sugar and chemicals. If you aren’t sure if your protein counts, bring it in and Doug will okay it. If you’re making a morning shake for breakfast, we’re expecting a legitimate shake with actual food in it. Not just an oh crap I’m late so I’m going to throw some powder in some water and call it good. A good example of a simple shake would be frozen fruit, almond milk and some whey protein powder. You’ve got your protein, carbs and fats with that. If you’re looking for a more intense shake, add in some greek yogurt, spinach, almond butter and a few raw eggs. Honey – DO NOT get into the habit of sweetening everything with honey. This is to be used on an every once in a while basis. Examples could include making bbq sauce and other condiments that won’t be used in large quantities. You are going to miss deserts and want to find a healthy alternative. Many of these will call to be sweetened with honey. That’s okay, just don’t go overboard. One of the goals of this challenge is to break your sweet tooth habit. Don’t sabotage your results. Eating things without labels is your absolute best option, however sometimes that’s not always feasible. Get into the habit of reading labels. If you aren’t sure about something look at the ingredients list. If it has more than 5 things in it and you don’t recognize or can’t pronounce some of them, it’s not for you. If it has soy bean oil or canola oil in the ingredients, it is not okay. If your great grandmother wouldn’t recognize it as food, it’s not for you. Check out the protein to carb to fat ratio. Start thinking about what that food will do for your body, not how good it will taste. Also, beware of “paleo desserts.” While every ingredient in them may fall within the guidelines, they are not going to help you if your quest is to lose weight. Think of how many almonds went into that 2 cups of almond flour that you are using. That’s a ton of fat in one bite. Remember, the more you put into this, the more you’ll get out of it. Finally, I would strongly suggest that you also log your meals into myfitnesspal.com. This is a bit more tedious, but it’s a great way to get a better look at protein to fat to carb ratios and what nutrients and vitamins you are getting into your body. This isn’t part of the challenge, but it will give us good insight to help formulate a plan for you after the challenge ends. WAIT – WHAT ABOUT ______________!!!!!! There are things that all of us have as our little vices. This is a chance for you to let those things go and find other things that you enjoy. There is always going to be that one thing that you think you can’t give up. You can, and there are some good substitutes out there. Alcohol – give it up, it’s not doing you any favors. Coffee creamer – try coconut milk and cinnamon or blend up some coconut oil and butter. Sounds weird, I know, but it’s actually really good and gives you an awesome energy boost in the morning. Google bullet proof coffee. Mayo and other condiments – make your own with paleo ingredients. Some simple substitutions and some creativity with spices will get you really far. Mayo – avocado oil an egg and an immersion blender. Ranch – take advantage of your Greek yogurt and add some spices. BBQ sauce and ketchup are simply tomato sauce with the appropriate spices. Used to having dessert before bed? Find a tea that is naturally sweet. I like licorice tea. Craving sweets? Grab a handful of berries, or an apple and some almond butter. Blend up half a banana with a little bit of coconut milk and some cocoa powder. Mix up some of your protein powder. Find something that works for you. Tired of drinking so much tasteless water? Cut up a cucumber and lemon and throw them in a pitcher of water. Add some mint leaves and you’ve got a pretty tasty concoction. Leverage each other for ideas and recipes. Use the Facebook page to ask questions and find some new ideas if you’re stuck, that way everyone else will be able to see and benefit as well. 1.) We had a few people ask us what they should drink if they don’t like water. Water is necessary for life and is not really replaceable with anything. Especially if you are eating lots of protein (which you should be) you NEED to drink water. There’s no way around this one. If you don’t like the way it tastes, just drink it fast. 2.) The frozen stir fry veggie bags that you buy at the store have baby corn in them. Baby corn is still corn, if you get this bag of frozen veggies, weed out the baby corn otherwise you will lose a point. 3.) Evaporated cane juice is just a really fancy way to say sugar. If you see this in an ingredients list, it’s a no-go. 4.) Condiments and spices are tricky. A1 sauce is a no go. Frank’s hot sauce is okay. Look at the ingredients. Some salsa is just fine. Some salsa has sugar in it. If I remember correctly, normal siracha has sugar and chunky siracha doesn’t. Again, look at the ingredients. 5.) Just because a recipe says that it is “paleo” still make sure that every ingredient is on our ok list. There are different ideas of paleo out there. Learn to make substitutions – they will be your friend. 6.) Do your best to work in a little bit of carbs, protein and fat into each meal if you can. You are going to see the absolute best results this way. 7.) Don’t think of your meals/ingredients in a clump. What I mean by that – you make paleo muffins but want to spice it up a bit so you put in some craisins in too. Craisins have added sugar. That will lose you a point. So, though your paleo muffins are “healthy” they do have that added no-go. Another example – you make burgers and eat them without a bun. So, they are healthy, right? But you put ketchup and mustard on top along with your tomato and onion. Ketchup has a ton of sugar in it – so you lose a point. Pay attention to every little thing. Remember, you ARE stronger than your strongest excuse. GOOD LUCK! Posted on May 8, 2014, in Nutrition Challenge. Bookmark the permalink. 1 Comment.